We’re starting today’s unconference with Liz Gottung, CHRO at Kimberly Clark. Liz has emphasised that her HR function isn’t that well developed yet, but is on a fast journey. However, I think they’re doing a lot of things very well – their emerging use of social media for example. And I think they’ve got a great ambition: to make HR a ‘go to’ function. This is about making HR a function that people will want to develop their careers. Liz said she’s love to see someone being groomed for CEO taking on her job for a couple of years. And some of this is already happening, at least on a temporary basis – so Liz has brought in a marketing person to support employer branding, and an engineering person to support lean HR for example. I’m still not sure about Kimberly Clark’s vision for HR however. Liz talked about things dying a quick death if they’re seen as an HR project. And also the need to have ‘HR’ projects sponsored by someone from the business – so their CFO sponsored their new performance system, and they’re also looking for a business leader for their new global Workday implementation. Now this may just be a reflection of Kimberly Clark HR being on a journey, but I worry it’s more than that as well. I certainly talk to a lot of companies which do see this sort of embedded, and even slightly hidden, version of HR as the function’s future. I hope it’s not. 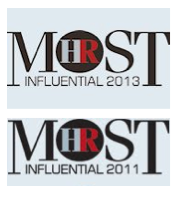 HR’s evolution, to me, has got to include making HR proud of its own capability and contribution. We’ve got to help our businesses understand that HR projects are things that are important, and can be led effectively by HR leaders too. Until that happens, we’re always going to struggle to maximise our contribution. Given the name of this unconference (HRevolution), I suspect the vision (or the different visions) of HR may be something we return back to several times during the course of the day. I’ll let you know if so. I’ve posted several times here that, even though I strongly support their use, engagement surveys should only ever be seen as part of the picture. Firstly, engagement is only one part of the broader contribution of human and social capital that employees can tell their employer about. Secondly, there are a variety of ways in which organisations can find out about engagement and other human capital issues from their employees. One key opportunity for many organisations is to conduct better exit interviews, so I was very pleased to speak recently with Beth N Carvin, CEO at Nobscot which provides web based exit interviews and is sponsoring my travel to attend HREvolution in Atlanta this week. Beth explained that Nobscot has been built around the idea of automating exit interviews – a space in which there are still few other players and that still provides the basis for Noscot’s flagship product (though the company also provides systems enabling other types of web interview, eg for new hire surveys, and other HR needs, eg supporting mentoring programmes). The firm’s WebExit system allows departing employees to complete exit interviews over the internet, and provides powerful reporting capabilities for HR managers to look at the reasons leading to these exits at aggregate instead of just individual level. The other key benefit is providing assurance that the exit interviews will get done, as without the technology, it’s often a bit of a lottery whether an HR manager will or will not get to the person, and the summary of the interview is then often not written down, or is written on a piece of paper which is then filed, but without any central collection of information. Nobscot have found this functionality is particularly valued by companies focused on employee turnover, and also where employees are spread out over different lcoations. My only concern about the system was that employees would prefer to meet someone face-to-face, but Beth suggested their experience is that organisations get better data when they use Nobscot’s technology. Employees often have a hard time saying that their boss is a jerk, or something of that nature, but they will share this when put in front of a computer. And of course, they’re getting ever more comfortable doing this over time leading to an ongoing increase in the quality of the data. But some companies still do conduct both face-to-face and web based interviews (either before or after the face-to-face one), it doesn’t need to be an either/or decision. So I mentioned that I’ve also got the second Connecting HR unconference (#CHRU) coming up. Like HR Evolution, this should also be a really great event. “As an event it was nutritional, raw, the venue was stunningly basic almost brutal, the energy was maintained. There was progress, information exchange, connection and energy for the next opportunities to develop. “What played out at the ConnectingHR Unconference was nothing short of inspiring! The creative energy was palpable and what drove it was that every single (un)delegate was there for the same reason – to make a positive difference to others. I’d never experienced that kind of energy instantly ignite from a room full of strangers. Unlike our previous unconference, I’m not going to be facilitating – we’ve got plenty of other skilled people attending, and it’s important for the sake of the community that anyone who wants to do so gets the chance to participate in the design, organisation and facilitation of our events. You can still book for the unconference at eventbrite. And whether you’ll be attending or not, you’re welcome to submit a recent blog post for our special pre-#CHRU blog carnival that’ll we host at connectinghr.org next Tuesday. Just tweet or DM @connectinghr with a link to the post, or you can email me – see my details below. PS Do you like our new logo? (I’m not sure myself, Gareth!). I’m off to Atlanta on Friday to attend the US HR community’s HRevolution unconference. 1. I may not have succeeded in moving out of the UK as yet but I really don’t want to be around for the royal wedding next Friday. Half-way over the Atlantic seems as good as place as anywhere to ensure I don’t accidentally catch any of it. 2. Though I’m not a fan of the royal family, I’m definitely up for more bank holidays – the opportunity to get to Atlanta and back to the UK without missing any work days is too good an opportunity to miss (presumably part of the draw behind the strong showing from the UK this year, with Mervyn Dinnen, Gareth Jones and Neil Morrison also flying out to attend). 3. I’ve never been to Atlanta and was disappointed to miss the HCI conference there recently – here’s another chance to visit. 4. I love and strongly believe in unconferencing – in all its forms – and very nearly attended the first HRevolution back in 2009. 5. It was missing this, and then the second one, which directly led to my role in starting up ConnectingHR (see this comment at the bottom of Trish McFarlane’ blog post from back then) and I’d love to form some of link between the two events. 6. I enjoy speaking at conferences (and even unconferences) but sometimes it’s great just to sit back, listen to others and join in the conversation – particularly at uconferencees (I’m looking forward to doing this at the next ConnectingHR unconference too). 7. Beth Carvin and her team at Nobscot have very kindly stepped in with a scholarship taking care of my airfare (I’ve got a blog post coming shortly on Nosbscot’s exit interview and mentoring systems). 8. It’ll be a great chance to catch up with a few people I’ve met before, including Steve Boese, Trish McFarlane, Michael VanDervort, William Tincup, Steve Browne, Kevin Grossman, John Sumser, Amy Wilson, Lois Melbourne, Jennifer McClure, Joan Ginsberg, Laurie Ruettimann, China Gorman, Matt Charney, Craig Fisher and Jessica Miller-Merrell (not a bad list from someone on the other side of the pond!). 9. And to meet some people that I feel I know (from their blogs or earlier contacts) for the first time, including Shauna Moerke, Ben Eubanks, Josh Letourneau, Benjamin McCall, Eric Winegardner, Paul Herbert, Suzanne Rumsey, Lisa Rosendahl, Mike Haberman, Michael Krupa, Bryon Abramowitz and others. 10. And to get to know many other people too! I can’t mention everyone, but I’m particularly looking forward to meeting Crystal Peterson, Katherine Duffy, Jason Lauritsen, Matt Stollak, Joe Gerstandt, April Downing, Dwane Lay, Tanya Barham, Mary Ellen Slayter, Charlie Judy, Nate DaPore, Paul Smith, Mike Carden and Liz Gottung. I’ll chat to you all at the weekend! You can follow the action from HRevolution at http://thehrevolution.org and on Twitter using the hashtag #hrevolution. I’m back from Atlanta next Monday and have a couple of days in the office, then on Thursday 5th May it’s ConnectingHR’s second unconference too (you can follow the action from this at http://connectinghr.org and on twitter at #chru (c-hr-u, for connecting hr unconference). What a week! I’m a few weeks with this, but I’ve now added the slides from my recent webinar on social HR / HR 2.0 to slideshare . I’ve included links to all the references I discussed so you can see these in the presentation transcript (you’ll need to click through to Slideshare for this). My original notes on the webinar are here. Thanks again to Citrix GoToWebinar for supporting me to deliver these. We all know the statistics – well over 50% of change programmes fail to achieve their objectives. And we do not seem to be getting any better. In fact change management guru, John Kotter has suggested only 30% of projects are successful – and that is 15 years after the publication of his formative book, Leading Change. Kotter suggests that making change work requires even more focus on the eight steps in his methodology, but surely, given our lack of progress, that cannot be enough? Attend this seminar to learn about, and discuss, what really makes change work. We will review Kotter, then discuss other perspectives and your experiences. In fact, we will do as much as it is possible to do in one day to stack the odds of your change programme being successful in your favour. The other speaker at this Benchmark for Business event I’ll be attending next month is Dan Heath, co-author with his brother Chip of Switch, and Made to Stick. I’m particularly looking forward to this session as I still spend a lot of my time on change management, and I also think that despite us focusing on this area for over 20 years (I was one of the first people to do so, being in the initial group of 30 people forming Andersen Consulting’s Change Management group at the end of the 1980s) that change management is still very much an emerging art. For example, I don’t accept John Kotter’s argument that 15 years after his book, Leading Change, that all we need to do is to implement his 8 stage model that much better. To me, the fact that over 50% of changes still fail is a sign that something else is missing. Could the remaining need be influencing employees to make a Switch in their behaviour? Dan Heath is a Senior Fellow at Duke University's CASE Centre. He is a columnist for Fast Company magazine, and he has taught and consulted with organisations such as Microsoft, Philips, Vanguard, Macy's, USAID, and the American Heart Association. Previously, Dan worked as a researcher and case writer for Harvard Business School and as a Consultant to the Policy Programs of the Aspen Institute. In London, Dan will ask the following question: Why is it so hard to make lasting changes in our companies, in our communities, and in our own lives? Illustrated by counter-intuitive psychological and sociological research, he will outline how effective leaders can drive change by influencing employees to make a Switch in their behaviours. Dan will present the Switch Framework - a clear and simple model for creating sustainable change in your organisation. I’ll be live blogging my thoughts on Switch and the remaining needs in change management live from the event. Let me know if you’re going to be there as it would be good to discuss your insights on this too (registration is here). Despite my enjoyment of the CIPD’s HRD conference (and particularly the sessions on next generation HR leadership) just over a week ago, I still feel the CIPD’s ideas about new generation HR, whilst interesting, miss much of the opportunity for HR / HCM in the future. I was already thinking about a further post on this topic when I read a couple of posts from Random House’s HRD, Neil Morrison – one which I strongly disagreed with (on his Change Effect blog), and the other which I agreed with just as strongly (on the XpertHR Employment Intelligence blog). I’ve now written up my own perspectives on HCM as next generation HR / the OD / commercial HR approach that Neil describes and have also had this posted on XpertHR. In this post, I try to show that, despite Neil’s perceptions, HCM is a people and organisation focused discipline which offers HR more potential for commercial impact than any other approach which doesn’t have human capital at its heart. This idea about HR leaders adapting their behaviours seems to have been my key theme over the last couple of weeks, and of course it applies to other business leaders too. Michael Watkins is the world's leading expert on accelerating transitions. He is author of the international bestseller The First 90 Days: Critical Success Strategies for New Leaders at all Levels, recognised by The Economist as "the on-boarding bible." Michael's recent book, Your Next Move: The Leader's Guide to Successfully Navigating Major Career Transitions, was published in 2009 by Harvard Business Press. During his presentations, Michael will explain how the most successful leaders adapt their leadership style as conditions change in their organisations. Whether you are facing the "hidden transitions" that are part of normal growth and downsizing-or coping with a merger, reorganisation, or new leadership. Michael explains the critical relevance of leadership style, and how you can master the art of adaptive and inspirational leadership for ongoing success. If there was one process in HR, or even across the whole of business, that most organisations would agree is broken, it would surely be employee performance management. Nothing else we do turns both managers and employees off so much or results in so much wasted time (mainly through poor application and ineffectual conversations but often not helped by bureaucratically heavy designs). Yet it should not be like this. Employee performance management should be an absolutely critical business process – providing the main mechanism an organisation has for ensuring that work is performed and objectives are achieved effectively. Attend this workshop to understand how performance management can be ‘enhanced’ (perhaps better phrased as ‘re-engineered’) to have a true and significant impact on business performance. As the pace of change continues to increase, learning plays, or should play, a vital role in ensuring organisational success. Yet although fashions in learning support may come and go, one thing remains constant: organisations generally do a poor job of helping their people learn. Organisations also face a similar problem in helping people transform what they do learn into improvements within their job. Is it any wonder therefore if learning budgets remain under threat? You may consider it to be yet another fashion but some organisations believe the solution is now in sight. Understanding of the brain and how individuals and groups learn and work are leading to wider deployment of new approaches, often supported by new technologies too. Organisations using these approaches are reporting significantly improved results in their peoples’ learning and in organisational performance too. Attend this seminar to learn more about how learning works, in theory and in practice. Understand the approaches your organisation can implement to increase both the rate and amount that people learn, and ensure the effective learning of your organisation as a whole. Also understand how to justify your investments in learning and development, and ensure you are able to provide your people with the learning support that their current and potential contributions deserve. The other main challenge to traditional HR thinking that got my attention during the CIPD HRD conference was this one about the role / importance of softer, more organic approaches as opposed to harder, more mechanistic ones. I’ve already referred to one example of this distinction in Laura Walker’s comments about changing the stories. To be sure, there were a lot of calls for ongoing management of the organisational machine, for example Paul Kearn’s suggestion that we should measure the results of leadership development through the pace at which people shuffle paper!, but there were lots of examples and suggestions around more progressive ways of managing too. Relationships are at the heart of success in business – you want people to bring their whole heart and whole life to work. I thought both bosses were great, but what a shame it needed a Channel 4 TV programme for them to generate these insights. It’s a bit like when you make a CFO a CHRO and they get to understand it takes a completely different mindset, not just a new set of capabilities, to do the job well. We need to get this mindset into more business leaders (and still into more members of HR). And perhaps we need more new generation HR leaders becoming CEO too? Also see my earlier post on another undercover boss with an equally compelling story (Stephen Martin from Clugston Group). One of the points the CIPD was stressing was that HR needs to adapt to the situation it exists within (I agree). Lucy Lewin from Standard Chartered talked about the need to hold yourself in a place of anxiety a little longer than usual, and to consider all the data – including on leadership, engagement, shared services usage, the voice of the customer etc – and how you physically feel as that’s a data point too (I agree). This is about remaining in a state of questioning, rather than what Lucy called, rather clunkily, solutioning. I think this is right. HR tends to be too eager to grab hold of the next easy solution. And there were a few examples of this type of thinking at the conference unfortunately. For example, I liked John Seddon’s emphasis on systems thinking and frequently use this approach to help ask better questions myself (I also wrote extensively about systems and complexity based approaches in my book on strategic HCM). But to suggest that systems thinking implies that companies should always take an outside-in rather than a top-down perspective looses the value of questioning, and tries to impose a solution which may or may not be appropriate in a particular situation. I’d even make the same criticism about one of my favourite companies, HCL (see this post and others linked from it based upon my meeting with HCL’s CEO, Vineet Nayar, last year). Employee First Customer Second is a great example of a people centred, innovative (next generation) approach so I really enjoyed meeting Anand Pillai, HCL’s Head of Talent Transformation before the show. In fact I much preferred our meeting to the conference presentation as I didn’t think this reflected what makes HCL such a special organisation – their career and succession planning processes seem quite traditional to me (albeit perhaps being implemented with a bit more passion than elsewhere) but I think succession should really be a completely different concept when your organisation is placed upside down! Our pre-show meeting absolutely did cover some of HCL’s more special ideas but we also talked about the change we need to see within HR. Pillai’s not from the HR function and I don’t think he’s our biggest fan. And he’s got a point when he says that HR is often an organisation’s most hated function; that it tends to do a lot of HR for HR; and says no too often - but I think that’s changing too (as the case study organisations I covered in my last post show). And the sorts of changes that Nayar and Pillai have implemented are what HR is increasingly doing now. But for me, Employees First is only one example of the variety of approaches to people management that an organisation might take. So I can’t get comfortable with the way HCL is promoting the approach to other companies (they’ve apparently discussed this with 62 other organisations now). Nayar’s sponsorship for the approach, and the smart way the changes have been made. They’re not the tools or activities, ie the service ticket approach, the open 360 degree feedback system etc (much as I like these too). HCL’s success has come from questioning, not solutioning. And it’s not the solutioning they should be selling, it’s the thinking and philosophy that led to these solutions being developed. That’s what I believe you should be focusing on too. I left Ben’s workshop early as I wanted to see more on some of the case studies supporting the CIPD’s work on Next Generation HR, which I also posted on a couple of days ago. This and a similar session on the second day were, in my opinion, some of the best ones at the conference, with insightful speakers (Louise Wallwork from BAE Systems, Lucy Lewin from Standard Chartered and Laura Walker from John Lewis) sharing their experiences as best as they could despite frequent interruptions from the CIPD’s / Bridge’s consultant. I particularly liked Laura’s explanations about how she is working to change John Lewis. For her, the key need is to have a strong sense of insight, as this makes it easier to be courageous when you come up against the company’s immune system. The company is now starting to look and feel different and its HR leaders are asking themselves what this means for the way they run HR – the capabilities they need in their HR people and the way they’re organised – even things like measurement needs a reorientation to the new approach. Laura talked about how companies best undertake this reorientation. John Lewis is a community, family oriented business and there are lots of stories (I’d argue that there are in any organisation) so you don’t change by changing the process but by changing the stories. I thought these were some great examples supporting the need for a clear HR POV and about how HR should tailor what it does around this. Unfortunately we didn’t get much detail on what the companies’ reorientations have involved. It’s not that I mind models (you’ll know that already if you’ve read many posts here), but when a session is billed as a case study, and you’ve got speakers of Louise’s, Lucy’s and Laura’s experience, they are what people want to see… so less of Bridge’s venn diagrams and hour glasses, and more of the speakers’ stories next time please! See below for information on www.thehaygroupconference,com. I’ve been posting recently on the importance of a differentiated HR Point of View; of influencing business from this POV; and of talking in a more people focused language to support this. And I’ve also posted previously about the irony of promoting the use of more people focused language when I tend to be use rather dry language myself (at least I’ve resisted the temptation to acronym-ise the language I’m promoting as ‘PFL’ – at least until now that is!). So I’ve decided that I’m going to do a series of posts on the more human language we need to start to use more of, including the words suggested by Gary Hamel that I posted on before: joy, truth, honour, fidelity, equality, wisdom, beauty, justice and love – and on their relevance for business, and HR. Now this isn’t going to be easy for me, and it may take a few weeks for me to start (I should also point out that I’m generally very poor at delivering on the commitments I make on this blog - I do try, but so many new things tend to come along that end up taking priority and getting in the way. So I should perhaps just say that I do currently feel totally committed to delivering on this – and we’ll just have to see if I can retain my current motivation). I thought it might help by starting out on this journey by biting off a slightly easier challenge, and writing here about trust. I say easier, not because trust is any less important, or any less human than joy, truth and honour etc, but it does seem to have become rather more acceptable to talk about it in business recently. (I’ll have to think further about the impact on trust between you and me if I don’t fulfil the commitments above that I’ve just made you!). I guess the main context for this growing level of acceptance is the falling level of trust around the world that we’ve experienced over the last decade and especially over the last few years during the recession. Much of this fall relates in particular to those traditional, authority based sources of trust such as business leaders, politicians and newspapers, and yes, even to consultants and bloggers. But it’s also about the changing nature of employment, and the increase in service, knowledge and team based work. All of these factors make business more people shaped - and people, and the relationships between them, more obviously critical to success. And trust is the key to developing these relationships. This reduction of something this important is what I think has made organisations realise that they need to spend time thinking and talking about how trust can once more be raised. My input into these conversations would be to think about who are the people that create trust in organisations. And from my perspective, despite its somewhat smaller role in Edelman’s annual Trust Barometer this year, I remain convinced that this is the group called People Like Me (or ‘PLM’s I suppose). This group is often linked to social media but I’d suggest friending on Facebook is about a very different thing. For me, making someone a PLM is about finding a mutual basis for connection, a shared interest or preferably a passion which provides a basis to develop a relationship (Alexander Fliaster referred to the ‘like me’ principle as the dark side of social networking, but there’s a bright side to this effect as well). If you’re a Person Like Me, you’ve got an immediate connection with me, the basis for some rapport, and then anything you then talk about or present, even those wonderful financial metrics coming out of HR, are likely to be more trusted, because you’re more trusted too. In a sense, this is only restating the main insight behind most negotiation skills training – that two parties have more room for agreement when they have a common goal, objective or even just a shared interest – something that makes each other a PLM. And it’s why sharing those snippets of information on Twitter (‘just about to have a cup of coffee’) IS useful communication – doing this helps to provide a basis for a shared personal connection, and once you’ve got this, the more ‘important’ factual tweets are likely to have more resonance and impact as well. So perhaps trust isn’t just another important area of focus alongside joy, truth and honour etc – perhaps it’s an output of these things. Maybe if we did talk about joy and these other areas a bit more, and importantly worked to create more joy as well, then perhaps trust between people would increase a bit more too? Social events including a gala dinner at one of Vienna's cultural highlights. Sylvia DeVoge, International client advisor, Hay Group. For more information about the conference please visit www.thehaygroupconference.com or contact anna.patterson@haygroup.com on +44 (0) 20 7856 7238. This post is sponsored by Hay Group. Hay Group is a global management consulting firm that works with leaders to transform strategy into reality. The firm develops talent, organises people to be more effective and motivates them to perform at their best. Its focus is on making change happen and helping people and organisations realise their potential. Hay Group has over 2,600 employees working in 85 offices in 49 countries. Its clients come from the private, public and not-for-profit sectors, across every major industry and represent diverse business challenges. See more on Hay Group's blog and follow the firm on Twitter. For the last couple of days, I’ve been to the CIPD’s HR (HR Development) conference in London. I was there as press and my intent was to post regularly throughout both days. Unfortunately my (T-Mobile) dongle wasn’t working and there was no wifi(! ), so I wasn’t able to post. Well, OK, I suppose I was able to draft some posts, but I probably needed the positive reinforcement of seeing my posts out there, and getting your reaction to these, to continue writing - without this ability I find it hard to motivate myself in the same way. Ben Betts of HT2 would understand. I met Ben earlier in the day and attended some of his workshop this afternoon as well. His company produces cost-effective social games for companies, linking both online and face-to-face aspects to produce real and imaginative learning opportunities for business professionals (a bit like Second Life without the nerd factor, or L’Oreal’s Reveal without the £1m+ cost!). For example, as well as the system they provide actors playing the part of company executives, and a telephone number and ‘receptionist’ that people can call (the company in the scenario we discussed isn’t performing that well so it actually works out quite well when there’s nobody available to answer the call!). We also discussed Archrival’s perspectives that I posted on earlier this week, and going back a bit further, Byron Reeves’ book Total Engagement. I wrote in my post on this that I thought these perspectives just a bit far fetched, noting that just because gaming is engaging doesn’t mean business needs to become a game to improve engagement. I think Ben tended to agree with my assessment - there are things we can learn from games, in order to improve on-line learning, and improve business performance too. But let’s not take this too, too far. One of the things we can learn about is intrinsic motivation. Ben and I discussed Dan Pink’s book, Drive and Ben agreed on my note about the importance of relatedness and it being a shame that this was filtered out in Pink’s work. Ben suggested the key factors behind engagement are autonomy, competence and relatedness. Or, as Archduke’s Hull noted, “there’s nothing fun about learning, what’s fun is applying what you’ve learned”. Blogging may not quite the same thing as a social game, but it’s not completely disconnected from this either. Just like with gaming, it’s the social feedback that’s most important – without this, it’s just no fun, and hence no posting earlier. 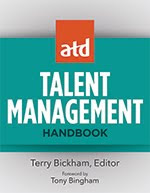 I’m delighted to announce the publication of a new book, The Executive Guide to Integrated Talent Management, edited by ASTD’s Pat Galagan and I4CP’s Kevin Oakes. The book focuses on the need for better integration between learning & development and the other different areas within HR and includes chapters from various thought leaders including Dave Ulrich, Beverly Kaye, Peter Cappelli, Ed Lawler, Marshall Goldsmith, John Sullivan, Noel Tichy… and me. These thought leaders pieces are then paired with articles from senior practitioners, including Annemarie Neal at Cisco, Jayne Johnson from Deloitte, Karl Heinz Oehler from Hertz, Kevin Wilde from General Mills, Leslie Joyce from Novelis, Karen Paul from 3M, Robert Kovach from Cisco and Teresa Roche from Agilent. My chapter is on the intersection between learning and development and compensation & rewards. I’ll give you my overall opinions when I get hold of a copy. I’ve recently attended Dachis Group’s Social Business Summit in London (see my two posts at Social Advantage) and thought I’d post here on one of the sessions which was presented by Charles Hull at Archrival. The sessions was titled Social Marketing to Millennials which didn’t get my hopes up. I’m not a Gen Y denier (like some) but I tend to think I know as much as I need to on this subject. However, it was actually quite an interesting session. Life tracking - fun ways for millennials to track, measure and get analytics on their data (Hull mentioned Bedpost as an example). There’s an obvious link to performance management here – eg by providing access to tools like Rypple to enable millennials and others to track their performance. Middle class of fame – noting that the 15 minutes of fame ideology has gone from an aspiration to an expectation. This can be about fame within an individual’s social circle – not necessarily on a national / global scale. The HR link is to recognition – providing a thanks for performance on a public not just a personal level. Digidentity – the use of social channels to establish individuals’ identities and demonstrate their social currency. For example, there is a growing trend for millennials to manage their Facebook profiles as a sort of resume – they’re savvy about protecting their identify within different circles of their network. They’re also savvy about using new social tools to share achievements and accomplishments. There’s an obvious link to organisation’s use of social sites within recruitment, but the organisational impact is perhaps clear. But perhaps there’s an opportunity to allow millennials and others to use corporate networking sites to meet this need. Tech-eyed view - every moment is ripe for posting and sharing – millennials are always looking for the next profile pic, and like to use digital tools to entertain, assist and inform themselves and their friends. Hull took us through some examples of social gaming and how they can be used for marketing purposes. And I’ve previously posted on the use of games for organisational use. The key for Hull is to make these games easy to learn but difficult to master (“”There’s nothing fun about learning, what’s fun is applying what you’ve learned”). The program will introduce to the participants best practices in human resource management (HRM) which are characterized by “long-term perspective' and “people-centered” approaches. In addition, the program will provide opportunities for the participants to share issues on recent changes in management practices in response to the global economic development. The participants are expected to apply some of the lessons learned during the program to the issues of their own organization in their home countries after the program. Enhance understanding of International human resource management practices with their basic philosophies for sustainable growth. Re-define issues or identify new issues concerning HRM in respective organizations by applying concepts and methodologies learned during the program. Build understanding of a five-step framework for developing business strategy. 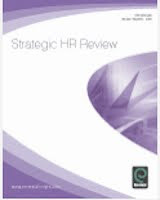 Improve skills to identify where and how HR can affect each step of the strategic process. 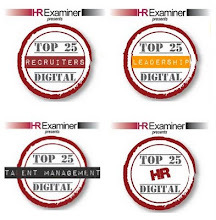 Update and sharpen their strategic HR thinking by listening to world class HR speakers. Learn and benefit from a rich exchange of ideas with peers from Africa, Middle East and Asia about different perspectives from diverse industries, cultures and geographies. Then on 9th June I’ll be blogging from the Economist’s Talent Management Summit where this blog is acting as supporting media. Look out for posts on some of these speakers’ sessions then. As a reader of this blog, you can get a 15% discount on booking using the code SHCM. And if you do book, let me know, and hopefully we can meet. The first event I’ll be attending after my quiet April, and Connecting HR’s second unconference on 5th May, will be on 9-10th May when I’ll be delivering a workshop on social business and HR management at the European HR Forum in Brussels. James Purvis, Head of Recruitment, Programmes & Monitoring, CERN, Switzerland. Let me know if you’re going to be there, it would be good to say hi. The CIPD has still got some away to go in its development before I feel very comfortable paying my fees each Summer, but recent developments show it’s moving in the right direction. The new website is a vast improvement and I like the new monthly People Management too. It could do with just a couple more articles still, but those that this edition includes are pretty good. I particularly like the article ‘Organisational Learning: The Social Network’ from Alexander Fliaster, whose session at HRD2011 this week promises to be one of the conference’s best. “Companies have to pay particular attention to facilitating friendships that create bridges across organisational ­structural holes and therefore are particularly conducive to knowledge creation. Regular meetings between departments, teams that cross functional and geographic borders, job rotation, off-site conferences, as well as training workshops at which people from various organisational silos come together, can contribute to building ties across the structural holes. Corporate HR can create more and better conditions for informal contacts among employees by giving them a chance to meet one another and deepen collegial relationships. Social events such as the Christmas party or sports and recreation facilities cannot, of course, make an employee like a colleague and build an emotionally intense friendship. But they can create opportunities for people to run into one another in an atmosphere free from workload and time pressure and start to talk to one another. Training focused on social skills is also of critical importance. I think this is all absolutely correct, though I also suggest that social collaboration has multiple benefits beyond just innovation (all organisational strategies are ultimately social as far as I can see otherwise they’re unlikely to be ‘organisational’ - vs just a group of individuals - at all). And I’d have liked to have seen more suggestions for HR developing collaboration beyond organising meetings and social events. Christmas parties are important but they’re not what I would seize on to develop better connection, or my own strategic role! “Our global chief executive, John Chamber, took all the global directors off-site to San Francisco and shared the direction of the organisation for the next five years, as well as the fundamental shift we would see towards Web 2.0 collaboration, says Johnston. “He said this would be the biggest shift that the company would ever have to make, and that we as leaders would need to step up to this new reality – we would need to embrace this technology and lead differently, and he would need to lead differently too. This heralded a move away from autocratic leadership toward collaborative decision-making, from functions and silos in isolated country branches to cross-departmental, global teamworking. One result is that employees now spend half their time working from home, while over 40 per cent are located in a different city to their manager. On the ground in the UK, Johnston was instrumental in changes that saw leaders hoicked out of their private offices and put into new open-plan environments. The majority of employees could now wear whatever they liked to work and some could even turn up whenever they wanted – a move that caused some leaders to leave the business, in search of more traditional organisations. Those left behind were eager to enter a new world of collaborative leadership, but weren’t quite sure where to start. But of course as these posts point out, video is only part of the solution. It’s a shame that neither Alexander Fliaster’s nor Charlie Johnston’s article mentions Twitter for example. The other thing that’s missing from these two articles is a clear explanation of how internal networks and collaboration provide competitive advantage. Most of HR’s heritage is in the bottom two layers, which in concert look to drive consistent performance through the people levers. Moving up, HR starts to place increasing emphasis on examining the fitness for purpose of the business now and in the future. The focus here is ultimately about supporting an organisation to do what is needed to drive performance that lasts. The reality means HR often operating well “off piste” in areas where the organisation most needs to help itself if lasting performance is to be achieved. I agree totally and passionately with the CIPD’s perspectives around purpose (POV), insight and differentiation (“an outbreak of HR orthodoxy has happened by stealth and we are in danger of calling this best practice”) but actually, I also think they’ve got a lot of this wrong. I believe, and demonstrate in my value triangle, that the highest impact comes from really understanding people and the value they can create. 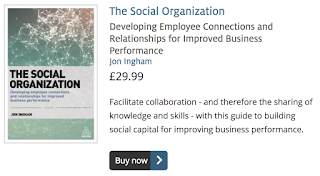 The CIPD’s approach leaves people as resources rather than vital providers of human and, with particularly relevance for this post, social capital. Social connection and networking is one of the ways this value can be provided – and that’s why the articles by Alexander Fliaster and Charlie Johnston are as important as they are. I’d have liked to have seen more of a story linking these themes in the magazine together (I don’t think it came out in the editorial). Maybe it’s up to readers to create their own stories, but I suspect that few HR practitioners know enough about the three topics I’ve addressed here to connect them in the way I’ve suggested above. I hope they and the connections I have drawn between them have made sense for you.